Last Thursday, medical marijuana advocates began a recall effort against state Sen. Kimberly Yee for blocking funding of a study of marijuana as a treatment for PTSD in veterans. The Phoenix NORML affiliate and the Arizona Veterans Assistance Committee have undertaken a campaign to make the Phoenix Republican pay a price. They'll need to collect 18,297 signatures from Legislative District 20 by August 2. Last Thursday, a district judge upheld Bakersfield's ordinance banning dispensaries. A group called Concerned Citizens for Bakersfield had filed a lawsuit to block it, arguing that the city hadn't complied with environmental requirements, but the judge wasn't buying it. Also last Thursday, Assemblyman Tom Ammiano reintroduced his medical marijuana regulation bill. The San Francisco Democrat's new bill is Assembly Bill 1894. The previous version, Assembly Bill 604 had been pending in the Senate. The major change is the addition of language authorizing limited local transaction and use taxes. Last Thursday, Connecticut picked locations for six dispensaries. The state Consumer Protection Commissioner announced that facilities in Branford, Bridgeport, Bristol, Hartford, South Windsor and Uncasville had been authorized by the state's medical marijuana program to dispense Connecticut-produced marijuana products. 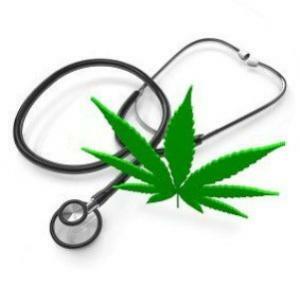 On Tuesday, a medical marijuana expansion bill was filed. The bill, sponsored by Councilmembers Yvette Alexander and David Grosso, would permit doctors to recommend medical marijuana to patients suffering from any condition for which it provides medical benefits. Patients would then be allowed to apply to the Department of Health for acceptance in the District's medical marijuana program. All 13 members of the council are now cosponsors. Last Wednesday, a CBD medical marijuana bill passed the Senate. The bill would allow children to use high-CBD cannabis oil to treat epilepsy. Filed by Sen. Iris Martinez (D-Chicago), Senate Bill 2636 now heads for the House. On Monday, the state legislature passed a medical marijuana expansion bill. The bill would create 15 licenses for medical marijuana growers. The measure is Senate Bill 963. It also would allow dispensaries to operate and let growers sell the medicine directly. Passage of the bill into law would make Maryland a full-fledged medical marijuana state. Last Thursday, medical marijuana supporters unleashed TV ads attacking Gov. Dayton for opposing medical marijuana. An aggressive TV ad targeted the DFL governor after he told a St. Paul mother and her seizure-ridden child to just find medical marijuana on the street! On Tuesday, medical marijuana supporters tried to attach their stalled bill to a broader health bill. A standalone bill, House File 1818, has been stuck in committee, but supporters plan to propose it as an amendment to a separate health bill. The vote will come after the legislature returns from spring break later this month. On Tuesday, a House committee approved a CBD medical marijuana bill. The bill would permit use of "hemp extract" with little THC and high CBD. Patients would need to have epilepsy that a neurologist has determined is not responding to at least three treatment options. The bill is House Bill 2238, and it has the support of the Republican House leadership. Last Thursday, a patient sued NJ Transit for denying him a job. A former New Jersey Transit worker and medical marijuana patient who was denied a new position with the agency after testing positive for marijuana is suing in hopes of seeing marijuana recognized as a legitimate medication. Charlie Davis, 57, said he was denied both safety sensitive and non-safety sensitive positions with the agency. Courts in other medical marijuana states have generally upheld the rights of employers to fire workers who use medical marijuana even if it is legal. On Wednesday, supporters rallied as a Senate committee considered a home cultivation bill. The measure, House Bill 1622, would allow two mature plants per patient, and the authorization would be only until a licensed cannabis dispensary opens within 30 miles of their residence. On Monday, the Newport city council enacted a moratorium on dispensaries. The council said the moratorium would remain until it could get rules and regulations in place, probably a few months. By state law, the moratorium must end by May 1, 2015. Also on Monday, the Springfield city council rejected a moratorium on dispensaries. Other Lane County communities, including Florence, Junction City and Oakridge have approved one-year bans. Lane County and Veneta considered but decided against imposing moratoriums. On Tuesday, the Coburg city council approved a moratorium on dispensaries. Last Wednesday, the House passed a CBD medical marijuana bill. The bill allows people suffering from severe epilepsy to legally use CBD cannabis oil to control their seizures. House Bill 4803 is less restrictive than a Senate measure passed last week. It's unclear what happens next.